I shared my recent comments to Tampa City Council about protecting our city’s history and modifying parking requirements to incentivize development that would fund transit operations. The proposed zoning request was denied and hopefully we can create zoning that helps incentivize real urban development. For the above public comments I upgraded my tech. Awesome $10 app purchase! 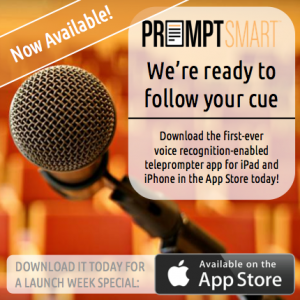 PromptSmart is the first ever voice recognition-enabled teleprompter app for iPhone and iPad. With VoiceTrack voice recognition technology, PromptSmart will follow your every word during your speech, automatically scrolling the text at your natural pace in real time. The “Hammer” spot reminds me of the huge societal changes regarding “work” we’ve seen in the last 80 years, recollected by Google founder Larry Page in his “Alley Oop” Hammer story during his University of Michigan 2009 commencement. 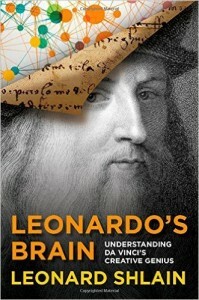 Leonardo’s Brain: Understanding Da Vinci’s Creative Genius by Leonard Shlain is a postmortem examination into the source and potential of his creativity and consciousness where Shlain hypothesizes that Leonardo may have been a glimpse into what lies ahead for our species. Read more and the rest of my Summer Reading Recap here. Found Colin Quinn: Unconstitutional while browsing Netflix and in light of the current social political mess it’s a great show. New York comedian Colin Quinn writes and stars in this live one-man stage show that dissects and deconstructs U.S. constitutional history.